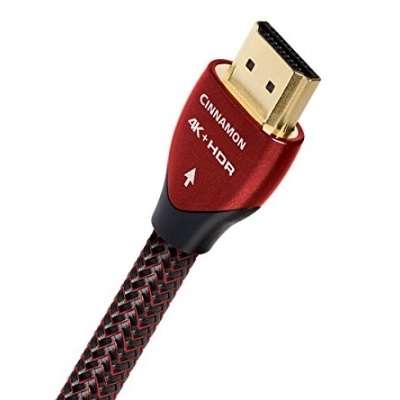 Treat yourself to high-performance Cinnamon from AudioQuest's 'Indulgence Series' of HDMI cables. Boasting solid 1.25% silver-plated Long-Grain Copper (LGC) conductors, Cinnamon delivers low jitter, low distortion audio as well as superb picture quality. Cinnamon's signal conductors are controlled for digital audio direction. The bi-directional Ethernet communication and audio return channel is enabled. Length: 1.5 meters/5 feet.